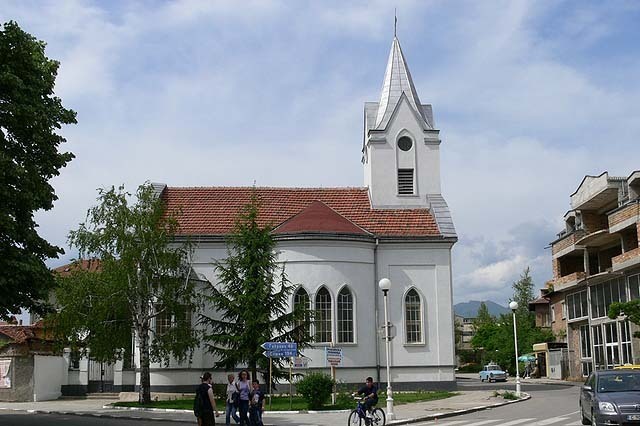 If we are travelling from the south (itinerary city of Stara Zagora – town of Maglizh) – stop in the village of Tulovo and seeing the Monument of the perished in wars. If we are travelling from the east – stop in the villages of Vetren (Russian monument and orthodox temple „Sv. Blagoveshtenie“) and Dabovo (Monument of the perished in wars and orthodox temple „Sv. Georgi“). Visit of rose boiling facility of the company Koradov between the village of Dabovo and the village of Vetren. 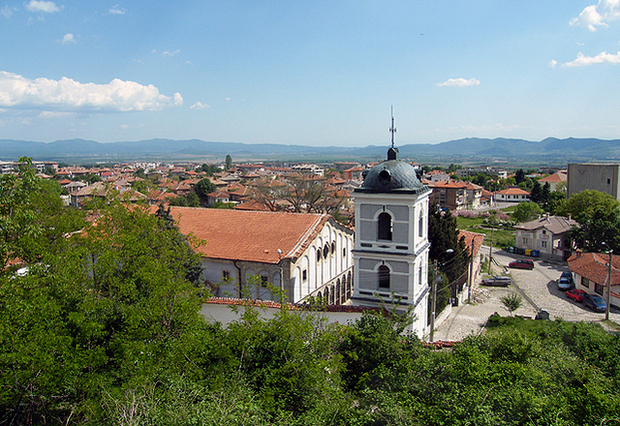 Continue to the town of Maglizh. About one kilometer before the town, a deviation to the right for visit of the fortress Dolnenski grad. When we arrive in t. Maglizh – visit of church „Sv. Bodoroditsa“ and church „Sv. Dimitar“. We are heading to the northern end of the town. We can reach on foot to Maglizh monastery „Sveti Nikolay Chudotvorets“. We are continuing to „Vinishki kamak“. The second itinerary that can be taken is from the locality „Barite“ to Golemia and Malkia skok and the third one is to the village of Seltse, where the fortress Gornenski grad can be visited. Return to the town. Walk to the Monument „Septemvrietsa“ and to Maglizh reading club where a mineral collection is exposed. Visit of an Exhibition of pictures of artists from the town of Maglizh and pictures drawn on silk in the cinema building. Night stay. Visit of the house of Teodora Maleshkova – artist. Visit of exhibition of pictures of Atanas Donchev – in High Vocational School for Agriculture „Geo Milev“, town of Maglizh. Departure on the itinerary Maglizh – Kazanlak. Visit of the Kazanlak tomb1. 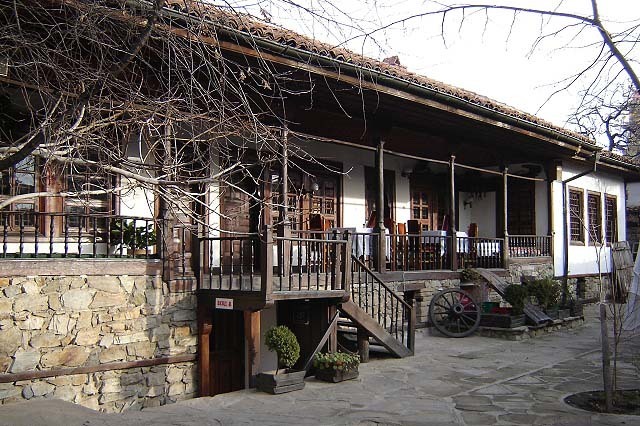 Time for the Historical museum „Iskra“ in the town of Kazanlak and the Art gallery– Kazanlak. Visit of the temple „Uspenie Bogorodichno“. Night stay in the town of Kazanlak. Visit of the Museum of rose. 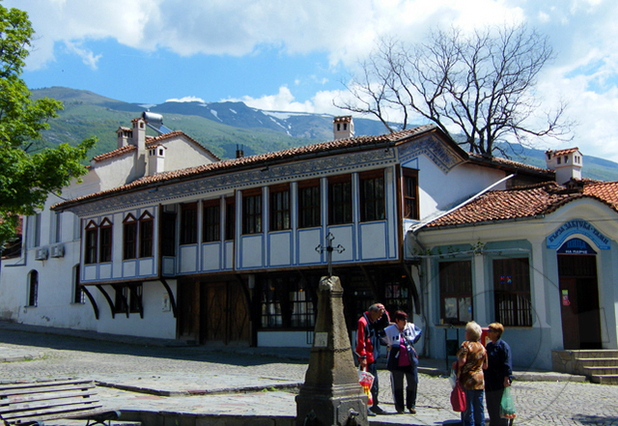 Visit of the Ethnographic complex „Kulata“. Visit of the birth-house – exposition „Acad. Dechko Uzunov“ and the Birth House – exposition „Prof. Nenko Balkanski“. Walk through the square Seutopolis and Lavovata cheshma (the Lion faucet). Visit of House „Petko Staynov“. Night Stay. Departure to the town of Shipka. Visit of the Thracian tomb of Seutes III in the hill „Golyama Kosmatka“, burial - cult complex „Ostrusha“and a visit of a temple on the hill of „Shushmanets“. Visit of the temple-monument „Rozhdestvo Hristovo“. Departure to the national parkmuseum „Shipka - Buzludzha“. A monument of liberation. Free time. Return to the town of Kazanlak. Night stay. Departure on the itinerary Kazanlak – Kalofer. Visit of the National museum Hristo Botev. Visit of the Museum of Enlightenment „Daskal Botevoto uchilishte“ (Daskal Botyo‘s school). 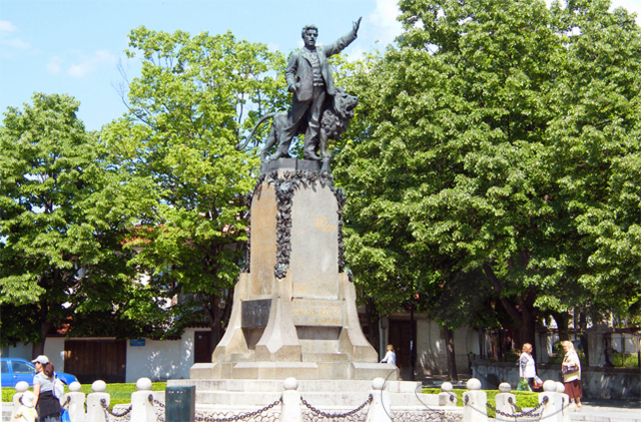 A visit of the monument of Hristo Botev and the monument of Ivanka Boteva – the mother of the poet. Upon wish – visit of Girl convent „Sv. Vavedenie Bogorodichno“. Late afternoon departure to the town of Karlovo. Night stay. kashta and Buhalovia han), the square „Vassil Levski“ and the monument of Vassil Levski. Departure again to the northern part of the town. Visit of Daskal Botevata kashta (upon request in the Historical museum in the town). A visit of Art center Orhideya. Night stay in the town of Karlovo. generals Georgi and Vladimir Vazovi. Visit of the Girl school („Radinoto uchilishte“), the Girl convent „Vavedenie Bogorodichno“ and the Church „Sv. Sv. Petar i Pavel“. Upon wish, visit of Ethnographic and craftsmen center „Sopot Esnafa“ – Sopot. Night stay in the town of Sopot.